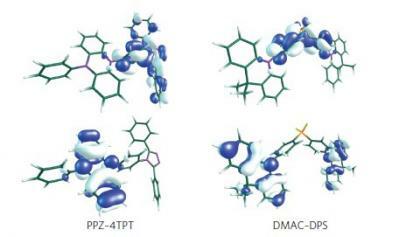 TADF, or Thermally Activated Delayed Fluorescence, is a relatively new class of OLED emitter materials that promise efficient and long-lifetime performance without any heavy metals. TADF research started in earnest in 2012, and TADF emitters are expected to become commercial by 2018. 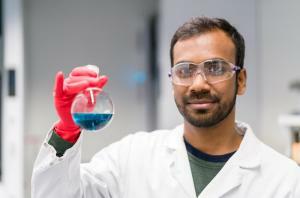 There are currently three main challenges with OLED emitters that TADF aims to solve - an efficient and long-lasting blue color emitter, low cost alternatives current red and green emitters and the development of soluble OLEDs that can be deposited using low cost ink-jet printing or other "wet" methods. 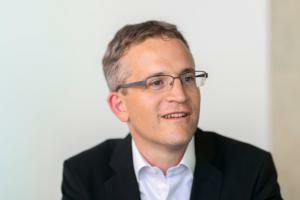 TADF is being developed by several companies. 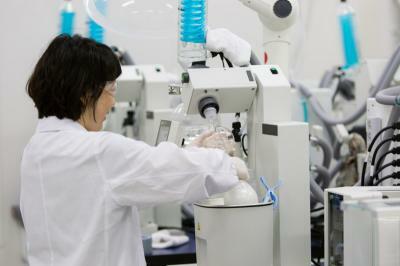 Japan-based Kyulux was established to commercialize Prof. Adachi's HyperFluoresence TADF technology. 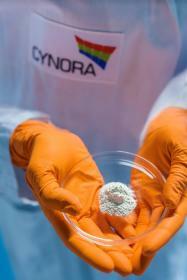 Germany-based Cynora is focusing on a blue TADF emitter. Both companies aim to release their first commercial materials in late 2017 or early 2018. 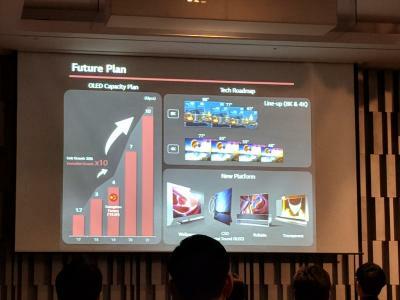 Idemitsu Kosan also considers TADF as one of the key OLED technologies and intends to focus on TADF in the future (although Idemitsu's actual TADF plans are not clear yet). UDC has been recently awarded a patent on TADF materials, although the company says that TADF is not in its focus. The EU launched two TADF related collaborative research projects to focus on TADF emitters, Project HyperOLED and the 2015 project Phebe. TADF, or Thermally Activated Delayed Fluorescence, is a relatively new class of OLED emitter materials that promise efficient and long-lifetime performance without any heavy metals. TADF was discovered 10 years ago, and the 4th International TADF Workshop will mark the event. The TADF Workshop will cover a diverse range of topics in TADF, excitonic materials, physics and devices - including a special focus on device architectures, up-conversion mechanisms, radical (doublet) emitters and perovskite emitters. Researchers from the University of Cambridge and Jilin University discovered that radical-based OLEDs feature highly efficient emission - in fact they believe that this discovery could be an elegant solution to the problem of in-efficient OLED emission. First-generation OLED emitters (fluorescent emitters) have a maximum internal quantum efficiency of 25% - as only a quarter of the electrons are in a singlet-state (that emit light) while 75% of the electrons are in a triplet-state. Current ways to achieve 100% IQE are either based on doping with heavy metals (phosphorescent emission) or either based on delayed fluorescence (TADF). Kyulux announced that it has signed joint-development agreements (JDAs) with both LG Display and Samsung Display. The LGD agreement was signed in January 2018 while the SDC one was recently signed. Both agreements focus on deep blue Hyperfluoresence / TADF emitters. 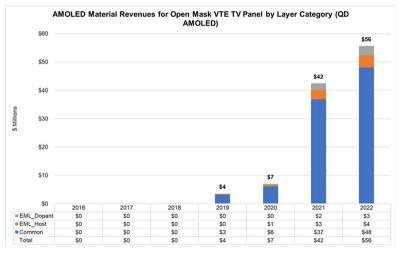 Kyulux hopes that by collaborating with the two leading OLED producers, it will be able to accelerate its material development - and it aims to have commercial red, green and blue HF/TADF emitters ready by mid 2019.